As companies increase their focus on digital strategy, salaries are rising for professionals with expertise in this area. 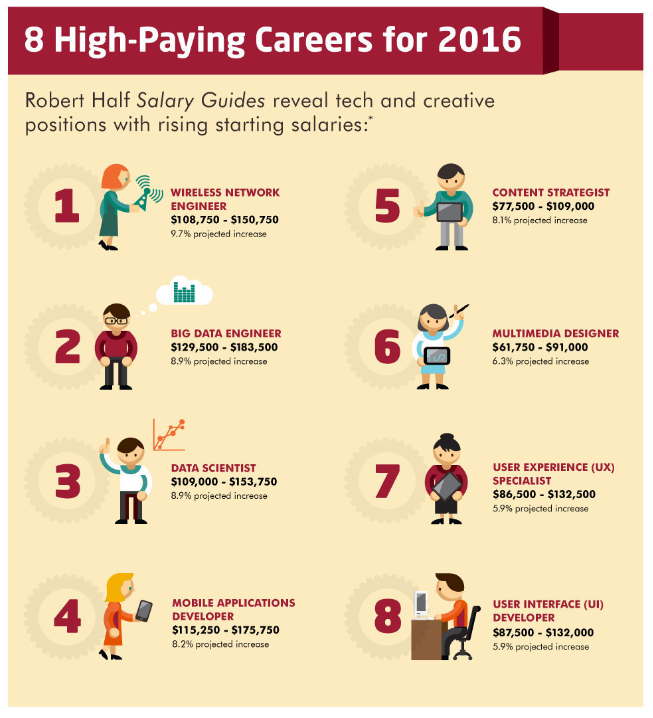 The 2016 Salary Guides from staffing specialists Robert Half Technology and The Creative Group show that base salaries in the technology and creative fields are expected to increase 5.3 percent and 3.8 percent, respectively, in the coming year. But some roles are projected to see even bigger pay bumps. See the full release to learn what other jobs will see big raises next year. Want to make sure you don’t miss jobs news? Sign up for PR Newswire for Journalists and create a free profile to have releases emailed to you about the topics you cover. Get started now. Expedia.com, one of the world’s largest full service online travel sites, released on Nov. 10 the results of the third annual Airplane Etiquette Study, which asked Americans to rank the most frustrating behaviors exhibited by the hundreds of millions of fellow Americans who fly each year. The study was commissioned by Expedia and conducted by GfK, an independent global market research company. The Expedia’s 2015 Airplane Etiquette study consisted of 1,019 interviews of randomly selected U.S. adult residents, conducted between Aug. 7-9. See the full release to learn who American travelers regard as the most annoying co-flyers. Don’t miss other travel news like this. Sign up for PR Newswire for Journalists and create a free profile to have press releases emailed to you on the topics you cover. Get started now. 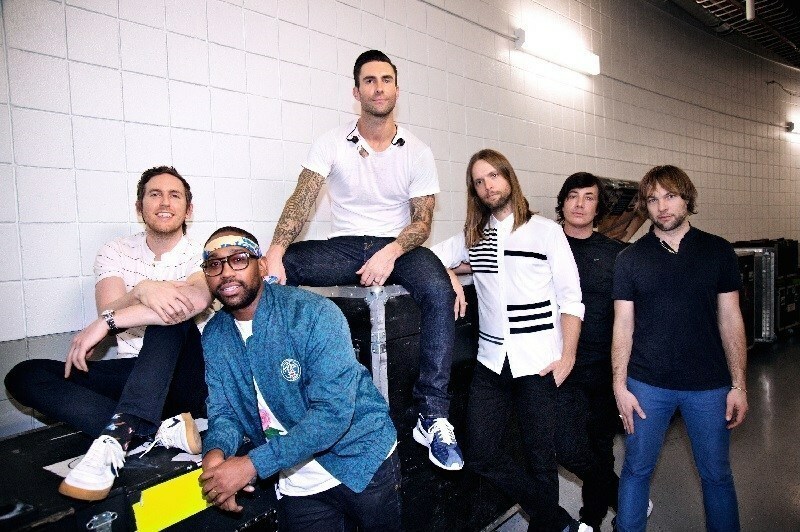 Multi platinum-selling and Grammy Award-winning rock band Maroon 5 announced a return to the road with their upcoming Fall 2016 tour. The tour will kick off in San Antonio on Sept. 3, 2016 and includes dates throughout North America. A full list of North American and European dates is below. Tickets for the general public go on sale on Saturday, Nov. 14 at www.livenation.com. See the full release for the full schedule. Interested in receiving more press releases like this? Sign up for PR Newswire for Journalists and create a free profile to have news emailed to you about music. Get started now. Hard Rock has 80,000 reasons to celebrate its world-famous memorabilia collection this week. At the recent Icons & Idols: Rock n’ Roll Auction event at Julien’s Auctions Beverly Hills, Calif., Hard Rock International, known for its memorabilia at locations worldwide, has acquired its 80,000th piece — Elvis Presley’s 24-karat gold leaf grand piano. See the full release to learn more about the piano. Interested in receiving more press releases like this? Sign up for PR Newswire for Journalists and create a free profile to have news emailed to you about entertainment, restaurants, and other topics you cover. Get started now. 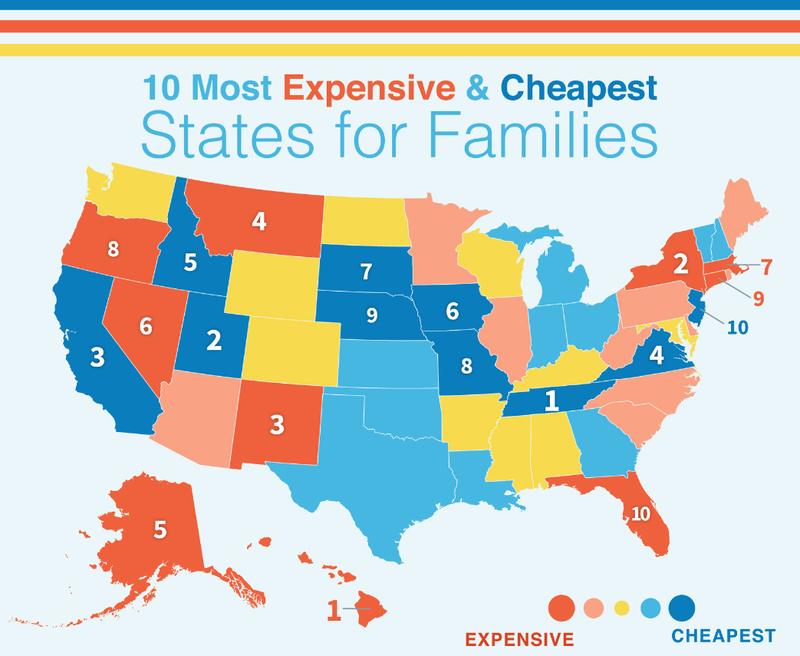 Hawaii and New York are the most expensive states to raise a family, while Tennessee and Utah are the cheapest, according to a new ranking released on Nov. 9 by GOBankingRates.com. The leading personal finance website reports on the impact geography has on costs associated with raising a family and scores each state on factors that most contribute to a family’s financial well-being: median income; state parental leave policies; food costs; housing costs; and child care costs. See the full release to learn where your own state ranks.